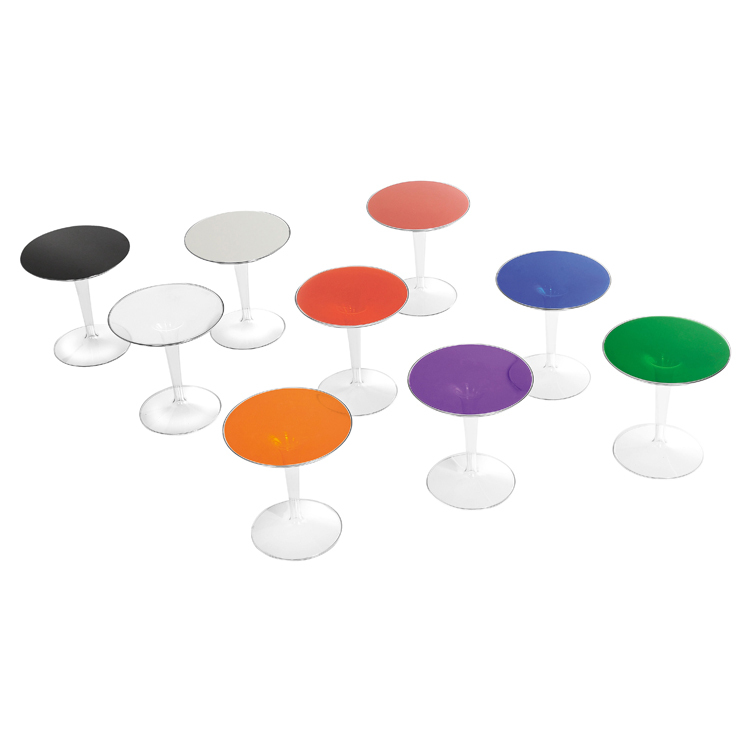 TipTop is a small side table, agile and light; it has a single base on which a round top rests. 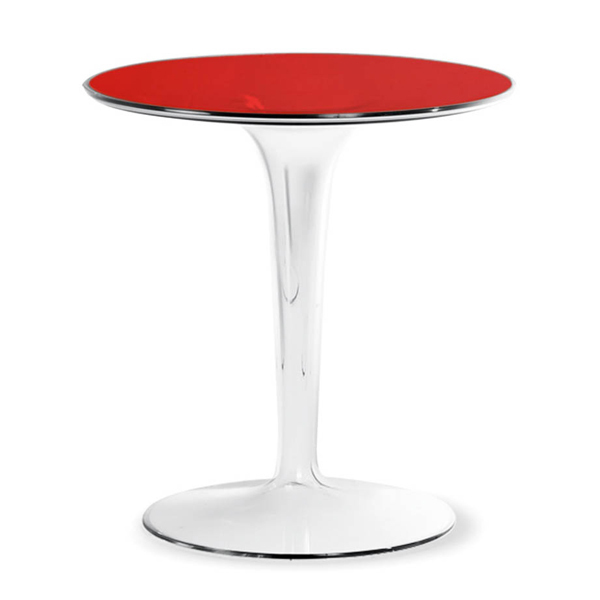 The combination of the colored top and the hollow transparent leg gives depth to the structure. 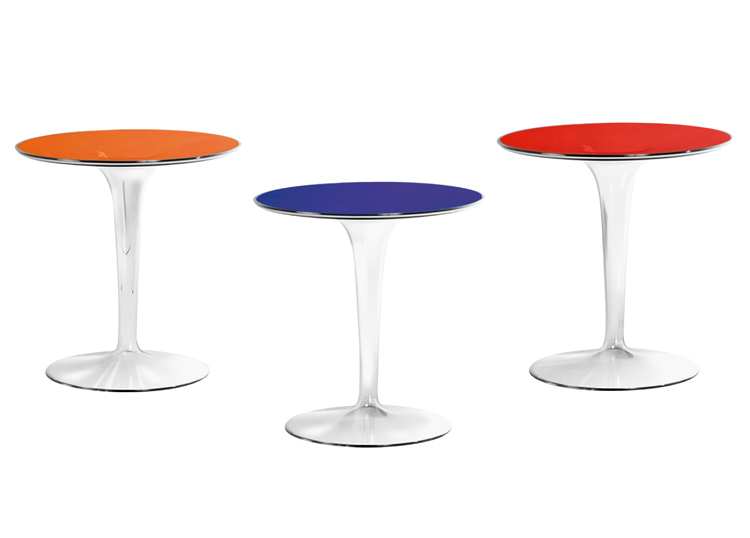 The top comes in a vast range of colors. Suitable for outdoor use.